These days, there’s a lot of talk about “living green.” As a matter of course, we recycle everything from cardboard to plastic to metal and glass. Our communities regularly hold recycling events for items such as electronics. And more towns are adopting the same type of plastic bag ban that Shrewsbury has recently enacted to encourage reusable bags and less waste. Green living also addresses the size of the carbon footprint we each create. One way to reduce our environmental impact is to adopt energy-efficient practices in our homes. Many of us already drive energy-efficient cars. Why not implement some energy-saving conventions at home as well? It isn’t as difficult as you might think and it can save you a lot of money in the long term. I’m not suggesting that you rush out and replace dated appliances that are perfectly functional. If you’re not sure where to start your energy savings, begin by thinking small. Start by swapping burned-out incandescent light bulbs with LEDs and compact fluorescent options. Take some time to evaluate your home heating systems. How out-of-date is your thermostat? Smart thermostats are not terribly difficult to install and their programmable features allow you to control your furnace even when you are asleep or away from home. Some heating and lighting systems can even be controlled remotely by a smartphone or a tablet. When one of your appliances does give out, shop for an ENERGY STAR certified replacement. ENERGY STAR certifies everything from furnaces to kitchen appliances to washers and dryers to television sets. Visit www.energystar.gov/ for more information. 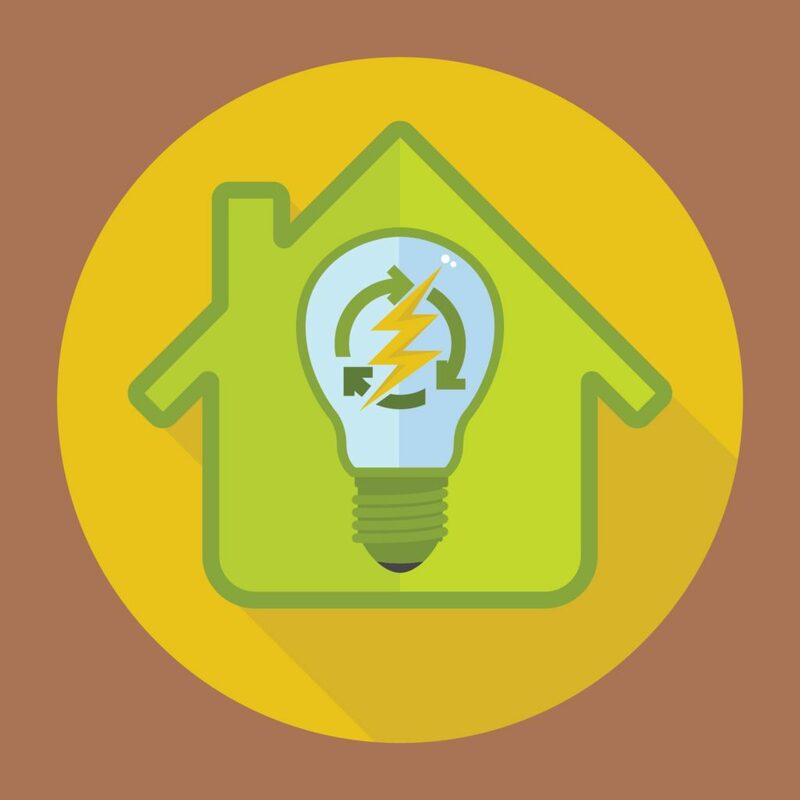 In addition to energy-efficient product listings, the website also provides useful energy-saving tips for homeowners that are easy to incorporate into daily routines. If you’re willing to tackle a slightly more involved project in pursuit of energy savings, have a contractor or energy auditor conduct a review of the insulation in your attic and basement and the sealants around your windows and doors. Windows that are original to older houses are particularly prone to energy loss. Replacing weather stripping, adding sealants, and installing additional insulation can cut down on drafts and energy leaks. As a rule of thumb, if your home was built before 1980 and hasn’t been updated, it’s likely that your insulation is inadequate. Massachusetts has many incentives in place to promote the use of renewable energy. Residential use of solar panels is increasing in popularity and their installation can dramatically reduce a household’s energy costs. For more information on available programs, visit www.mass.gov/solar-information-programs. Energy efficiency isn’t the only way to make your home more environmentally friendly. You can also save money and diminish waste by reducing your water usage. If your water heater needs to be replaced, you should consider a tankless water heater, which eliminates the cost associated with keeping large amounts of hot water in a storage tank. Low-flow faucets, toilets, and showerheads can also cut down on the amount of water you use each day. I am always looking for ways to streamline my life and eliminate waste at home. With renewable energy programs becoming increasingly affordable and advanced technologies growing ever more pervasive in our daily lives, reducing our environmental impact at home is easier than you might think. A little research can set you on a path toward shrinking that carbon footprint and leaving behind a cleaner, greener planet for future generations. For a complete listing of available financing programs and tax credits available to Massachusetts homeowners, check out www.mass.gov/solar-information-programs. 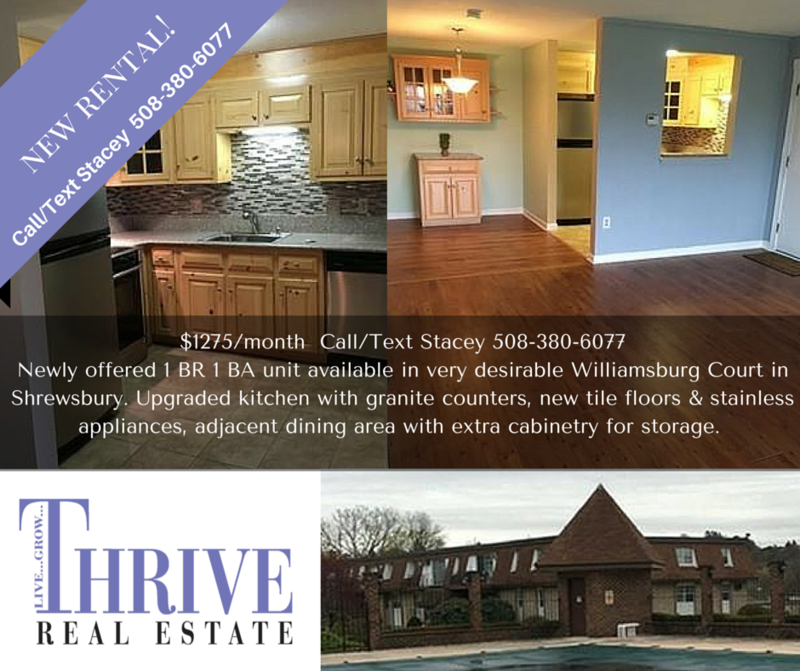 Just Listed by Thrive Realtors! Calling all fans of the classic American bungalow: we may have found your match. This home simply commands a presence on its incredible corner lot, with a porch and huge deck overlooking the big, flat yard. The new Lakeway Commons is just a short walk away from this tight-knit neighborhood. You’ll be able to roll out of bed and stroll over to Starbucks for your morning Joe. 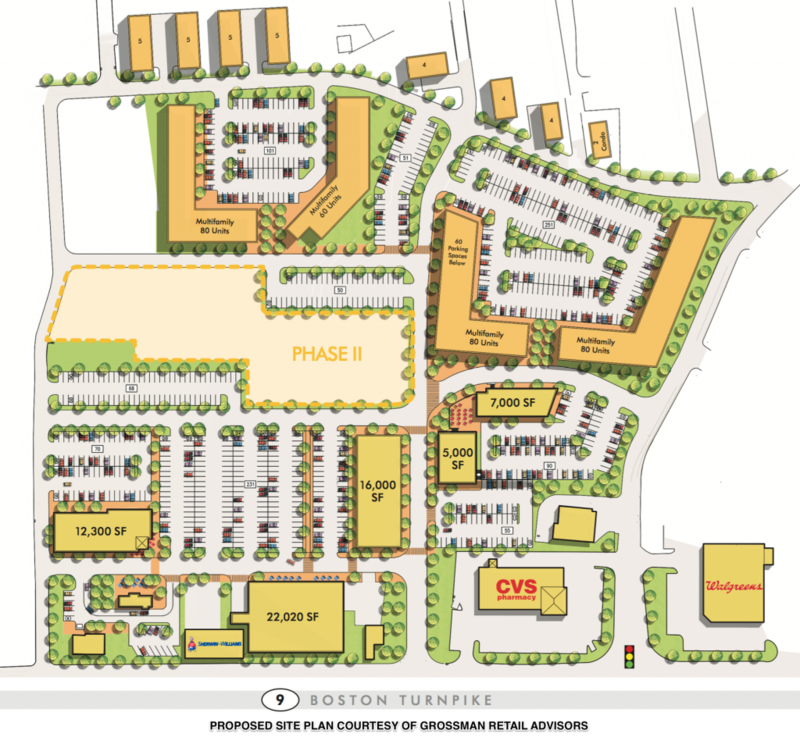 A Whole Foods and Burtons Grill will be pretty much in your backyard. But back to the house, which has been in the same family for the past 55+ years. Step inside to find beautiful hardwood floors, high ceilings, original moldings with some great wood grain, unusual grillwork set into the brick fireplace, a handsome staircase, and a flexible floor plan that allows you to maximize the interior space. Upstairs are three good-size bedrooms with ample closets for the era. Screened-in patio and detached two-car garage. 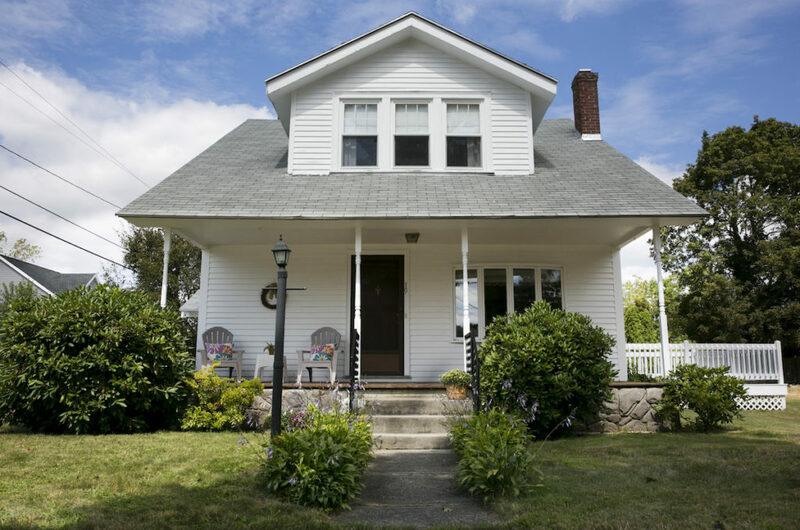 Come usher this quintessential American home into its next chapter, which is sure to be a love story. Showings start at Open House. Exceptionally well cared for Cape in coveted Saxon Woods! Freshly painted in soothing yet crisp colors inside AND out, this gem also has new Harvey 8-over-8 windows and new water heater. The foyer offers a teasing glimpse of the living room, flooded with natural light and graced with a granite fireplace. The heart of the floorpan is the dining room, with a lovely, lighted built-in cabinet and views of the great yard. Those gorgeous hardwood floors can be found in every room, including the kitchen, where you’ll find granite counters and cherry cabinets. There’s a first floor bedroom, plus a great full bath: glass shower, pedestal sink, timeless floor tile and beadboard. Three bedrooms and the second full bath are upstairs. Got stuff? No problem. This house has plenty of places to put it. Deck or patio? No need to choose: this home has both. The spacious breezeway can easily accommodate a drop zone as well as a pleasant sitting area. Partially finished LL w/ fireplace, two-car garage Showings start at Open House. Love the idea of living in a neighborhood, but still want some privacy? This is the place for you. Tucked away from the road, this classic & pretty American Four Square is perched on a knoll overlooking the neighborhood that grew up around it. Once an active farm with a history dating to the turn of the century, the home retains much original charm, but has the updates you’re looking for. The white kitchen has granite & SS appliances, while the bathroom has an on–trend square sink and tiled floor & walls. On the old house side of things, you’ll find an oh-so-pretty stained glass window, five-panel doors w/ lovely doorknobs, amazing hardwoods, a window seat, and an unusual (and useful!) built-in linen closet upstairs. A recent addition offers a great place for the family to hang out, overlooking the lovely, serene deck/pool area. The guinite pool is ready for you to make a splash! Floral St elementary school is just around the corner. Easy access to Rte. 9 & great shopping. Really nice! Showings start at Open House. If you drove through Shrewsbury on Route 9 this year, chances are you saw the demolition of Shrewsbury’s longstanding Spag’s storefront and warehouses. Demolition has not been limited to the Spag’s buildings; tailor shop the Golden Needle has also been town down and various other structures have been razed to create space for the exciting new complex. And while beloved Shrewsbury institutions may now exist only in memory, there is much promise and excitement to be found surrounding the development that is taking their place. A few months ago, I wrote about the new Lakeway Commons development and the commercial and residential opportunities that the Grossman Development Group property will offer to Shrewsbury. On June 7th, town business leaders joined local and state officials at the official groundbreaking for the project on the former site of the Spag’s complex. Since then, construction has been virtually nonstop. Lakeway Commons will serve as a mixed-use development with 250 apartments, 14 townhomes, and various dining and retail outlets, with a 50,000 square foot Whole Foods store serving as its commercial anchor. The complex will also feature plenty of parking and pedestrian access, a small monument serving as a tribute the Borgatti family who owned and operated Spag’s for years, and a fresh new aesthetic that is sure to revitalize the area. Early in the year, Shrewsbury applied for and obtained a liquor license for Whole Foods, granting the store authorization to sell alcoholic beverages in addition to its complement of high-quality and organic foods and products. Several other restaurants and businesses that are new to Shrewsbury will join Whole Foods at the site. Tavern in the Square, Sweet Pizza, and Burton’s Grill will offer the community new dining options, while Starbucks will open an additional Shrewsbury location. Jenny Boston will be opening a storefront in the complex, as will Visionworks and UniBank. Lakeway Commons is set to open this summer with the grand opening of Whole Foods. The town homes at Lakeway Commons will offer various floor plans and square footage, and will include such features as main floor master suites, granite bathrooms and kitchens, stainless appliances, hardwood flooring and wall-to-wall carpeting, crown molding, and other gracious amenities. A new bus stop at Lakeway Commons will offer service to UMass Medical. 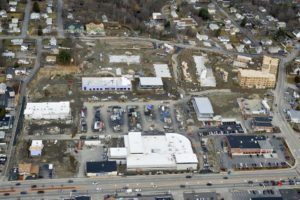 The development is sure to have a positive impact on Shrewsbury’s economy, particularly when coupled with the Lakeway District’s recent improvements to the nearby White City shopping complex and the beautiful new bridge spanning Lake Quinsigamond as a link between Shrewsbury and Worcester. In addition to the development at Lakeway Commons, Maryland-based Total Wine and More is opening a store at former site of Petco near Trader Joe’s. Demolition of the Petco building and construction of a new storefront has been ongoing this year, and the liquor store expects to bring 50 jobs to town. With the beautiful library renovation and the advent of several new developments in Shrewsbury, I’m very excited about our town’s bright future. I’d be interested to hear your thoughts. What would you like to see in Shrewsbury to continue to grow our vibrant town? Thinking of Buying a New Home? Get Pre-Approved Now! Buying a new home is largely contingent upon securing financing. Whether you’re a first time homebuyer or you’ve been through the process before, I believe the single best step you can take toward obtaining a home mortgage loan is to seek a loan pre-approval letter from your lender before even starting your home search. “Why?” you might ask, particularly if you are currently paying on a mortgage loan. Well, the answer is very simple. Having a pre-approval letter in hand when searching for a new home can not only give you a clearer picture of how much home you can afford, but it can strengthen any offer you make on a home because you won’t be seen as a wild card when it comes to obtaining financing. Here’s a checklist I’ve put together to take you through the steps of obtaining that all-important loan pre-approval. Start with the Internet. Request a free copy of your credit report at www.annualcreditreport.com. Your credit score and helpful credit tips are also available – visit www.MyFico.com. If you have any blemishes on your report, you’ll want to try to address these before approaching a lender. It’s important to start the entire process armed with knowledge about your credit situation. Put together a folder of financial information. Your lender will want to see copies of recent paycheck stubs, bank statements, and copies of at least the most recent two years of your income tax returns. Make lists of your debt (auto and student loans, credit cards, and other lines of credit or accounts you pay on monthly) and your assets, like retirement savings and investment accounts. Calculate how much money you can comfortably put toward a down payment. While traditional thinking would suggest that a down payment of 20% is necessary for a home purchase, certain types of loans require a much smaller amount of money down (FHA loans require as little as 3.5%) while other types of mortgages (like VA loans) may require no money down. Your lender can help you determine whether you qualify for these types of loans. If you are using a cash gift from a family member toward your down payments, find out from your lender what necessary documentation you will need to provide. Ask your real estate agent about a reputable lender in the area. Local mortgage experts can provide you with proper financial guidance while retaining a personal touch. 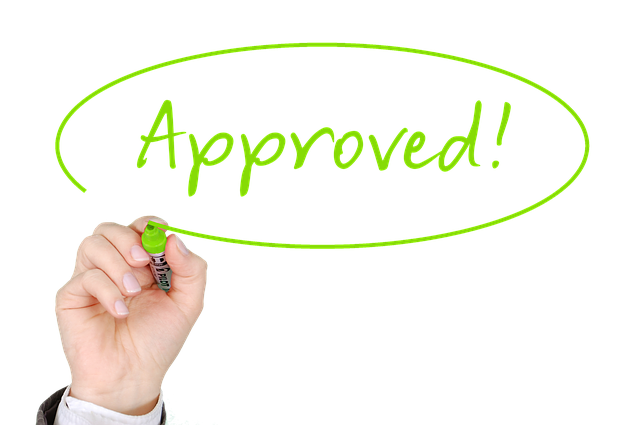 Begin the pre-approval process with your chosen lender. Your loan officer will take into account your credit history, income, employment records, and current assets and debt. Be prepared to supply your lender with any additional documentation as requested. Your lender will examine your documentation, determine how large a loan you qualify for, and inform you of any stipulations. You’ll receive a pre-approval letter – a document of utmost importance when you make an offer on a new home. Your job now is to keep things steady. You shouldn’t change your employment, make any substantial purchases (such as a car), close lines of credit, or make any large payoffs. Lenders like to see consistency. Double-check with your lender to find out how long your pre-approval will hold (generally 30 to 45 days). Make sure you renew your pre-approval as necessary! Obtaining loan pre-approval is pretty straightforward, particularly if you have favorable credit standing and can prove steady income and employment. 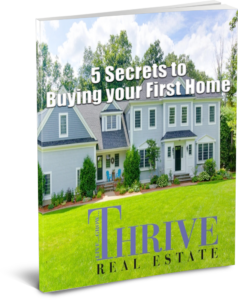 And as I said, it’s a vital first step in the home buying process, so if you’re thinking of purchasing a new home, make sure to get started on that pre-approval process right away! Just the perfect house to kick off the summer! Located in the highly regarded Ternberry neighborhood, well known for its lovely walkable neighborhoods with parks and excellent highway access. Step inside and notice how clean and neat the entire home is, with neutral colors and a floor plan that is just right. The formal living room offers a fireplace and access to the dining room. Notice the gleaming hardwoods that accent the family room right off the kitchen. You will appreciate the cabinet-filled kitchen with the handy center island, coffee station and views of the stunning, flat backyard. Upstairs are 4 bedrooms, each are spacious and bright. The master is roomy with walk-in closet and double sinks in the bath. The other remarkable features include a very large, fully finished lower level, 2 car garage and the most gorgeous yard you can imagine. This home is ready for it’s next owner just in time for summer and with plenty of time before school starts! 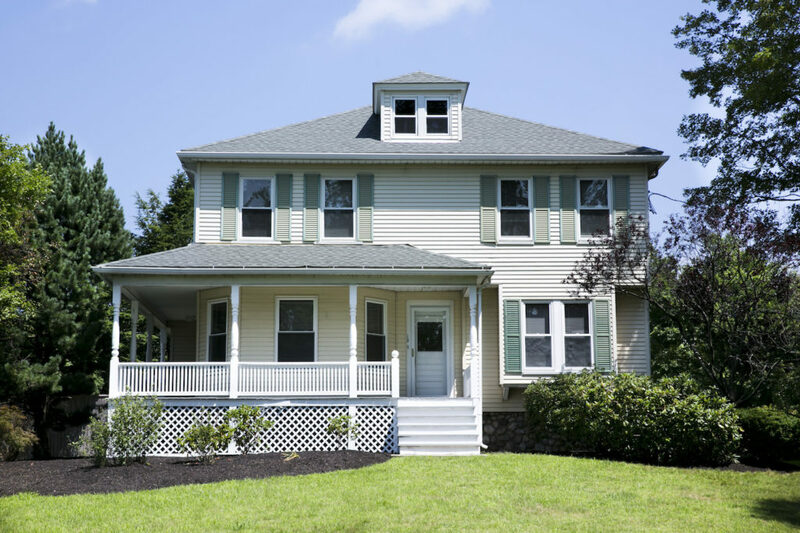 Call/text Maribeth 508-641-9323 for more information or to schedule a showing. During the last few weeks, many of us witnessed with some nostalgia the demolition of the longstanding Spags Route 9 storefront and its nearby buildings. Understandably, Shrewsbury residents are more than a little curious about its impending replacement, Lakeway Commons. Spags discount store first opened in 1934, and it operated until 2002 before being purchased by Building 19. The discount store became a mainstay of the Shrewsbury community as its reputation grew and it drew in bargain hunters from around the state. Building 19 closed the store in 2013, but many people agree that it had really begun to lose its original character under its new ownership. The demise of Spags is the end of an era that provided many a fond memory for longstanding town residents. While we may be bidding farewell a storied institution, there’s plenty to be excited about as construction of Lakeway Commons gets underway. Designed by the Grossman Development Group as a mixed-use development, the Commons will feature retail and restaurant venues including a Whole Foods supermarket and branches of UniBank, Visionworks, Sweet Pizza, Burton’s Grill, Starbucks, Tavern in the Square, and Jenny Boston. Whole Foods recently obtained a liquor license for its Shrewsbury store, authorizing the new site to sell alcoholic beverages. Sweet Pizza brings to Shrewbury a fast-casual pizza venue designed around a make-your-own pizza concept. Jenny Boston, a multi-store enterprise specializing in women’s fashions and co-owned by two Shrewsbury businesswomen, is opening its sixth store and first Shrewsbury location. The 23-acre Lakeway Commons development has been designed with the feeling of a village center in mind. With bus accessibility, off-street parking, and pedestrian access, the venture will also include residential living space comprised of 250 rental apartment units as well as 14 townhomes for sale. Townhomes will offer 1,400 to 2,000 square feet of living space. Lakeway Commons is slated to open starting in mid-2017 and is expected to revitalize the Lakeway Business District. While change often involves a twist of wistfulness, our community continues to evolve. Its rich history includes historic homes, an erstwhile amusement park, a mansion devoted to candy, and a beloved, old-school discount store. I’m excited for the opportunities that this next chapter in Shrewsbury’s narrative will bring, as its sure to spark a new vitality along Shrewsbury’s Route 9 corridor.